Arcadia’s newest police officer hit the streets this week to patrol by paw and sniff out crime. 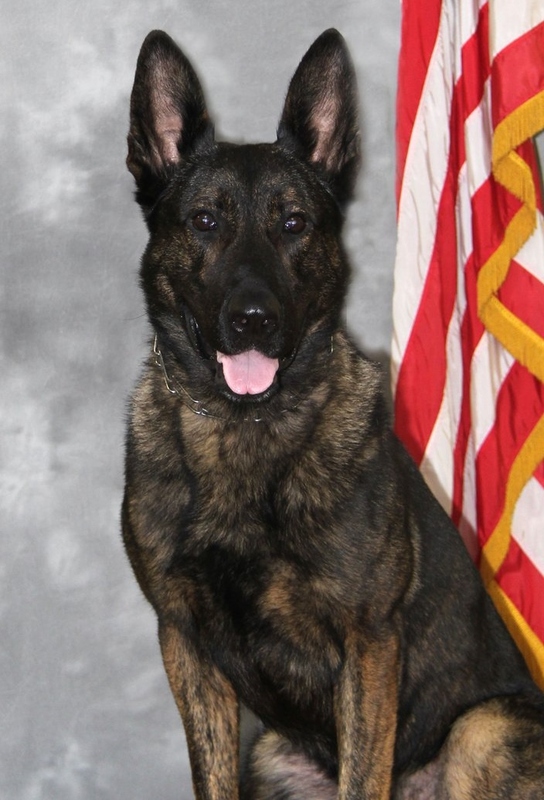 Kota, a 3-year-old Dutch shepherd, is the Arcadia Police Department’s new K-9, department spokesman Tom LeVeque said in a written statement. He began duty on Monday, handled by Officer Travis Sargent, a law enforcement veteran of more than a decade, according to Sgt. Luis Juarez. Kota hails from Eastern Europe and recently completed the Gold Coast K9 Academy in Moorpark, along with his handler, police added. He joins Arcadia’s other police dog, Zoli, who joined the police department late last year, becoming Arcadia’s first police K-9 in 12 years. Zoli is trained for both patrol and narcotics detection duties, officials said. Both K-9s were purchased and trained with funds raised by the Arcadia Police Foundation. This entry was posted in Arcadia, K-9 by Brian Day. Bookmark the permalink.